Saxon Office Technology has been serving Copier and Laser Printer needs of the Delaware Valley since 1982. Our professional staff will work to find the very best solution to your office equipment needs. From expert maintenance and repair to friendly consultation and advice, we're just a phone call away. 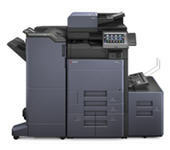 Whether you are looking for a Copier, Color Copier of Multi-Function device we have you covered.